Bespaar $70.00 door nu voor die optie te kiezen. This module is an awesome module which is first time ever synchronizing an eCommerce platform to a CRM platform. 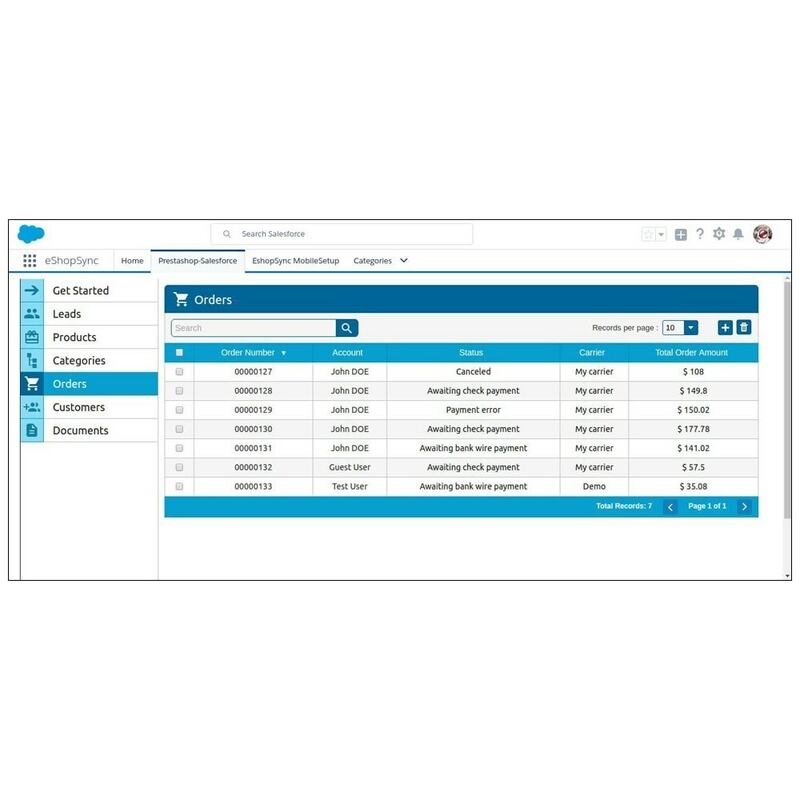 Prestashop salesforce connector provide real time synchronization of prestashop store to a CRM platform. 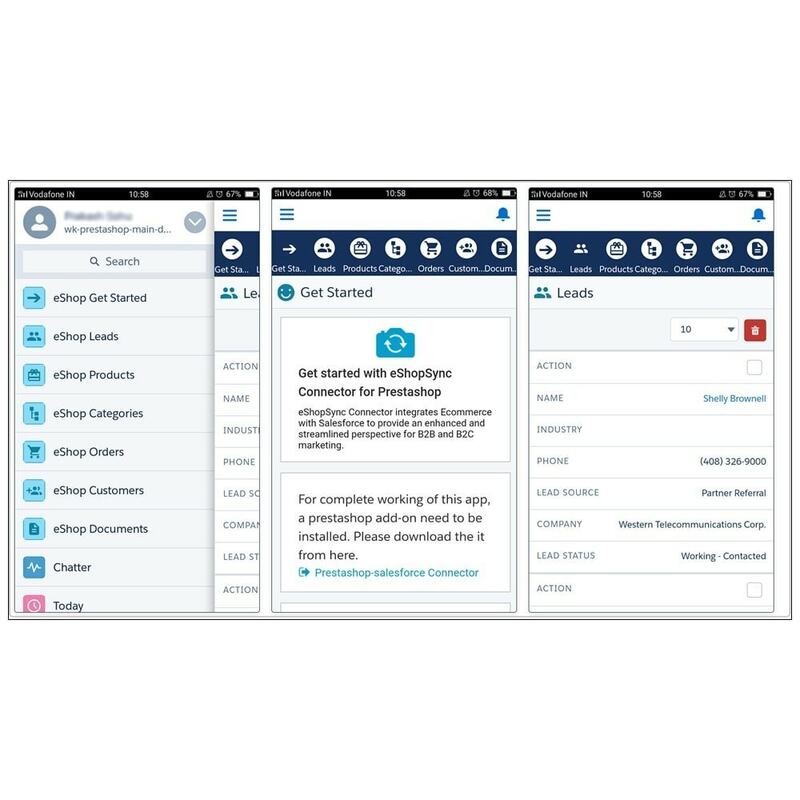 With the help of this module admin can easily connect their customers, products and their orders to their CRM which will help them to increase their sales and improve customer service. 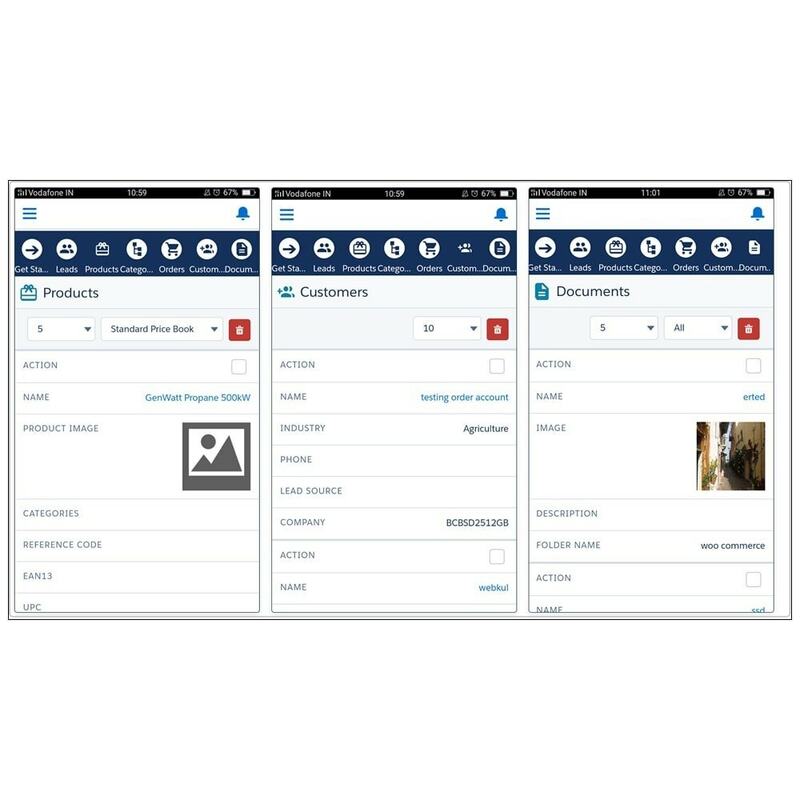 Admin can also synchronize orders and products from CRM platform to their prestashop store. 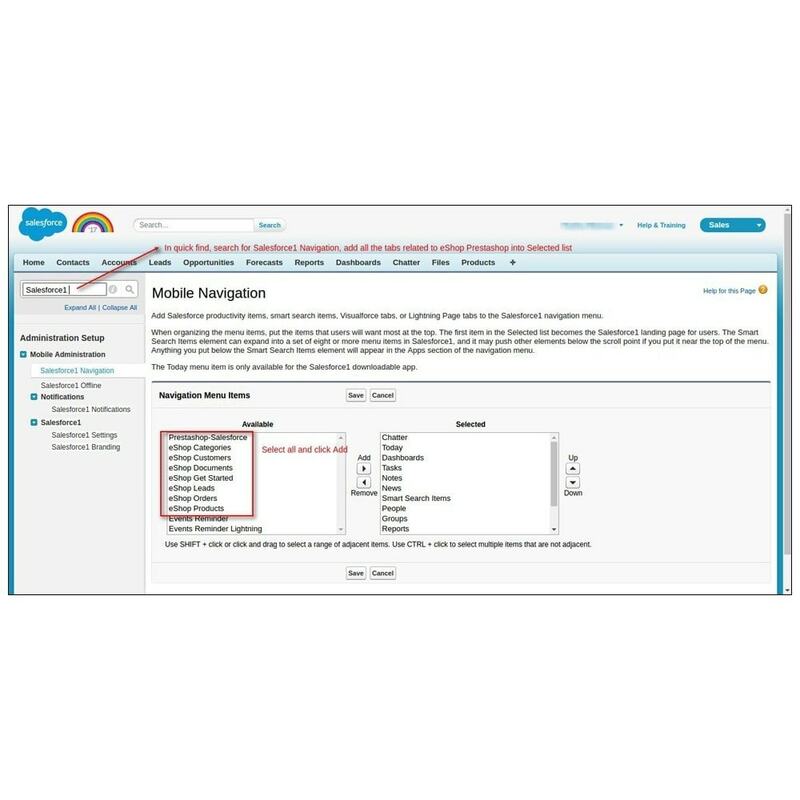 Before installing this module on your prestashop store, you have to open an account on salesforce and add an Salesforce global app i.e. “e-shop sync” in salesforce account. 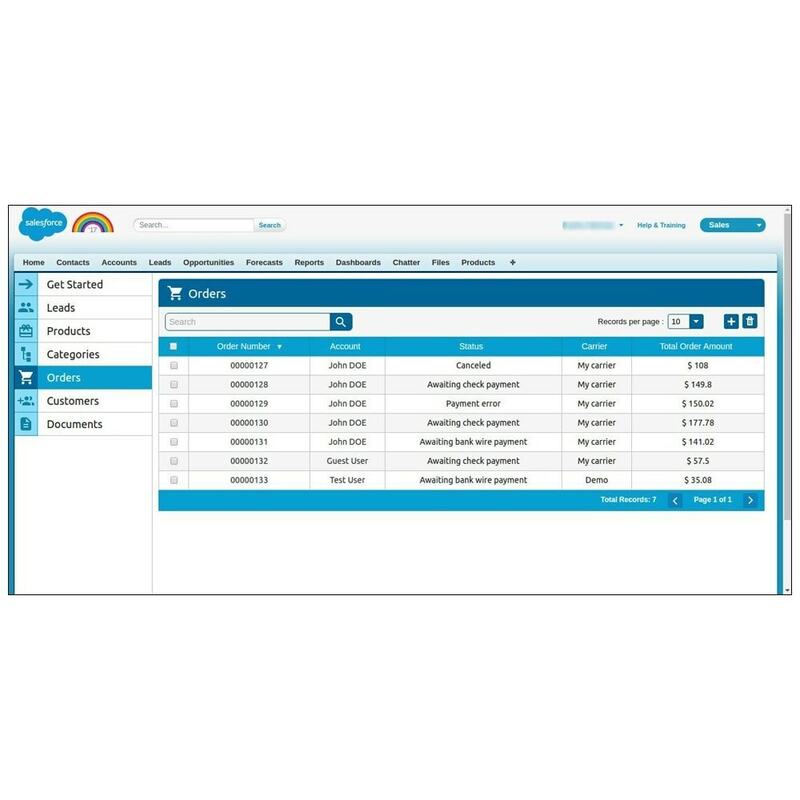 After creating an account on Salesforce, you can easily use our module. 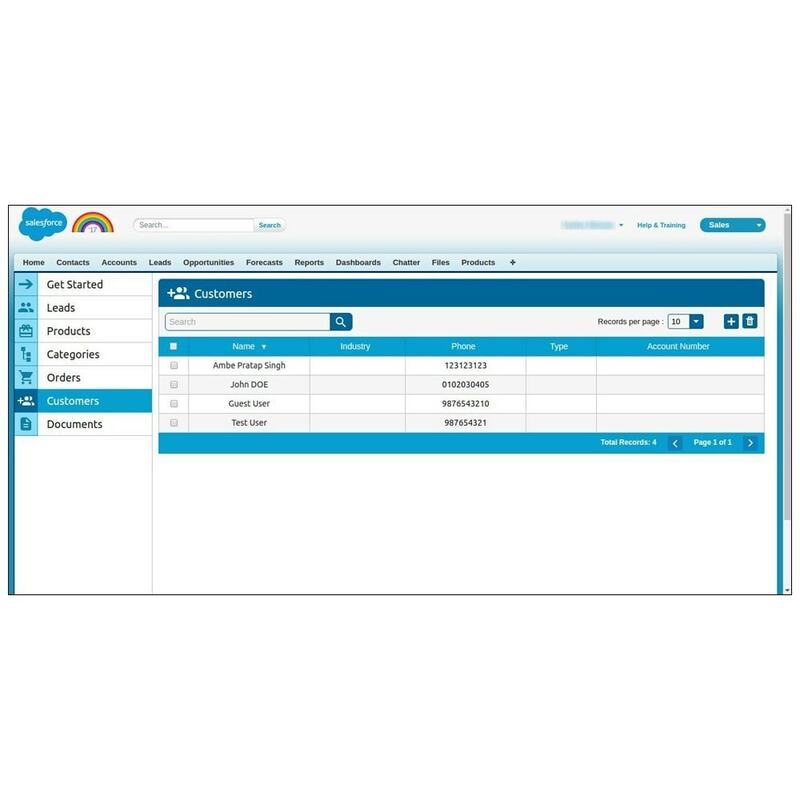 Admin can synchronize prestashop customers to salesforce . Admin can synchronize prestashop products to salesforce. Ad min can increase sales and can improve their customer service. Admin can keep track on their leads easily. Synchronization of prestashop contact us to salesforce leads. 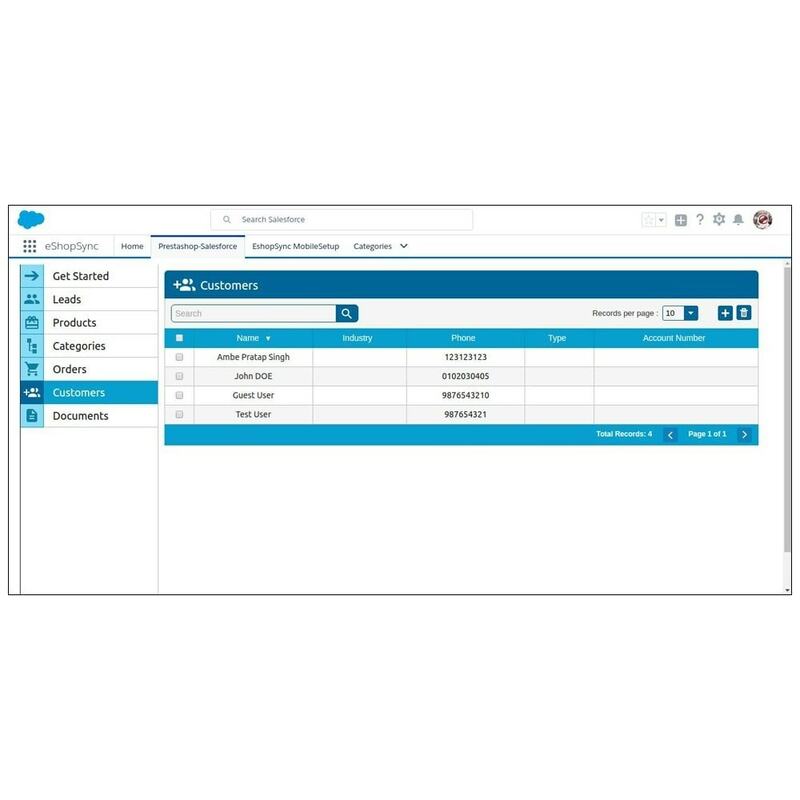 Synchronization of prestashop customers to salesforce accounts and contacts. 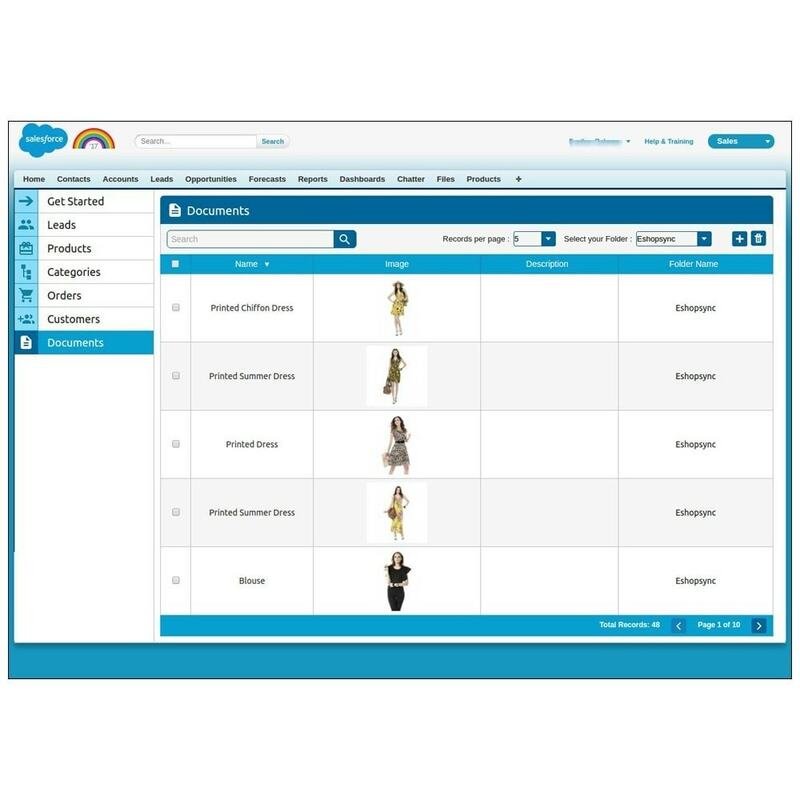 Synchronization of prestashop categories to salesforce custom categories. 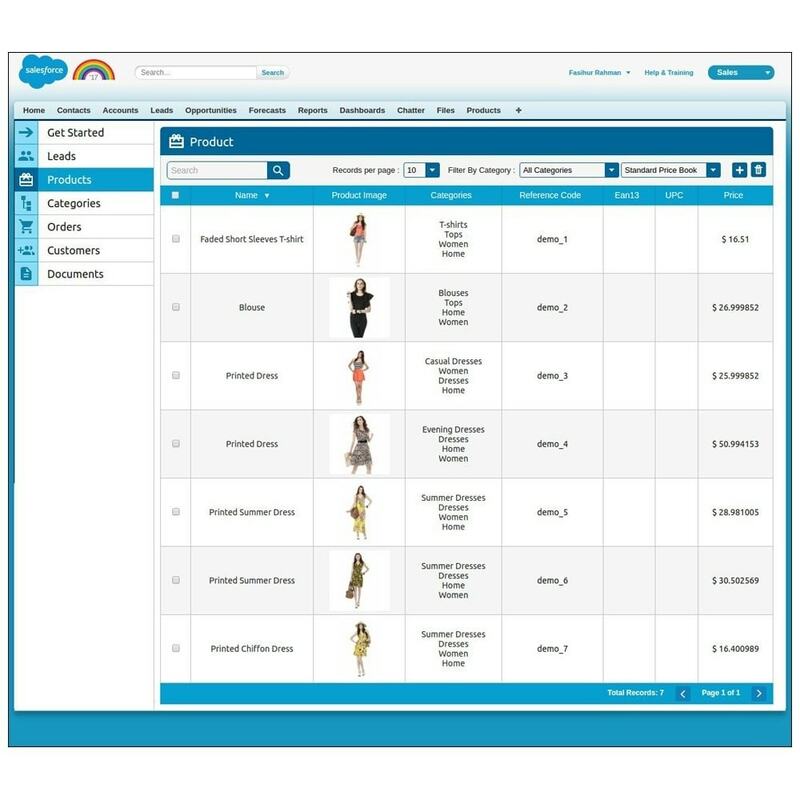 Synchronization of prestashop products to salesforce products. 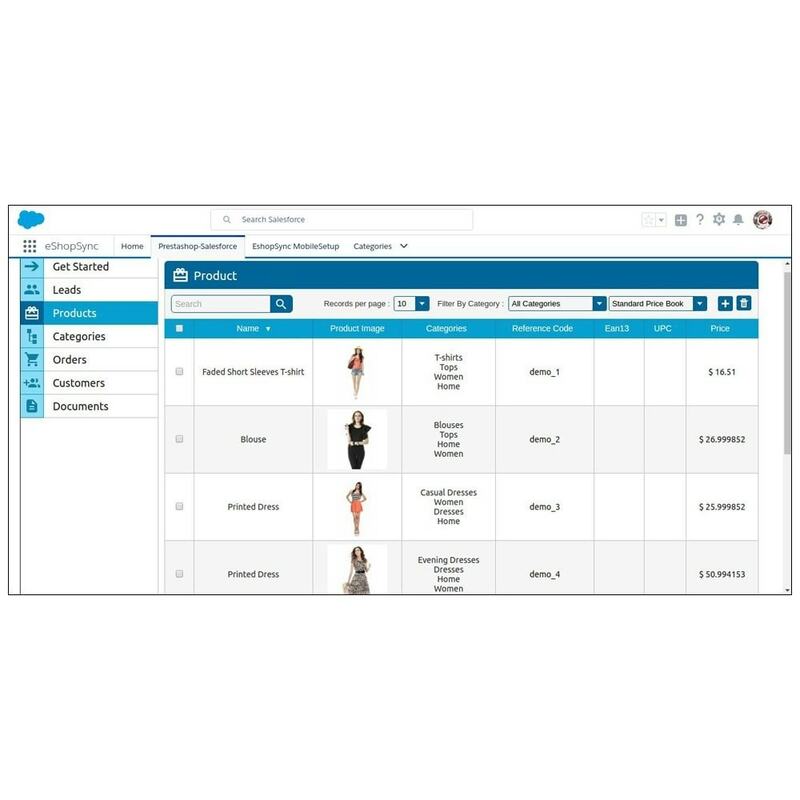 Synchronization of prestashop orders to salesforce orders. Admin can synchronized existing leads also. 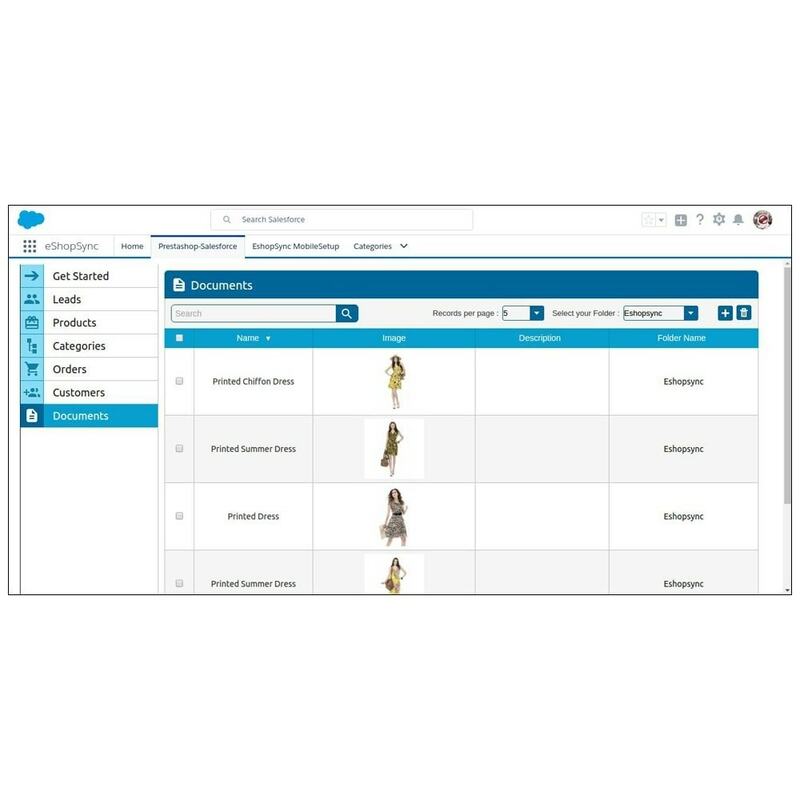 Synchronization of salesforce orders to prestashop orders. 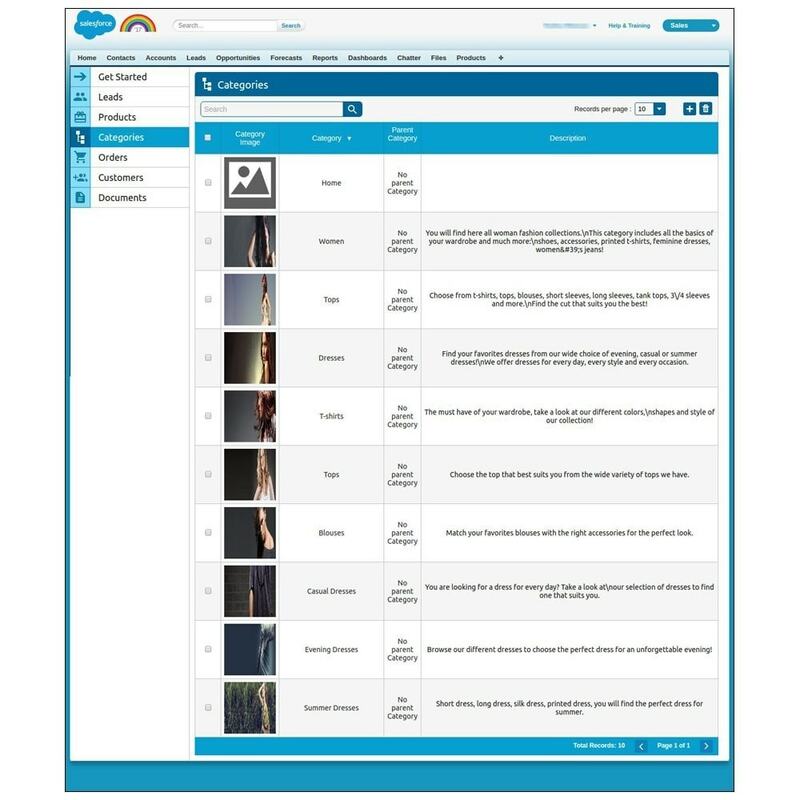 Synchronization of salesforce products to prestashop products. Admin has to set default shipping and payment methods. 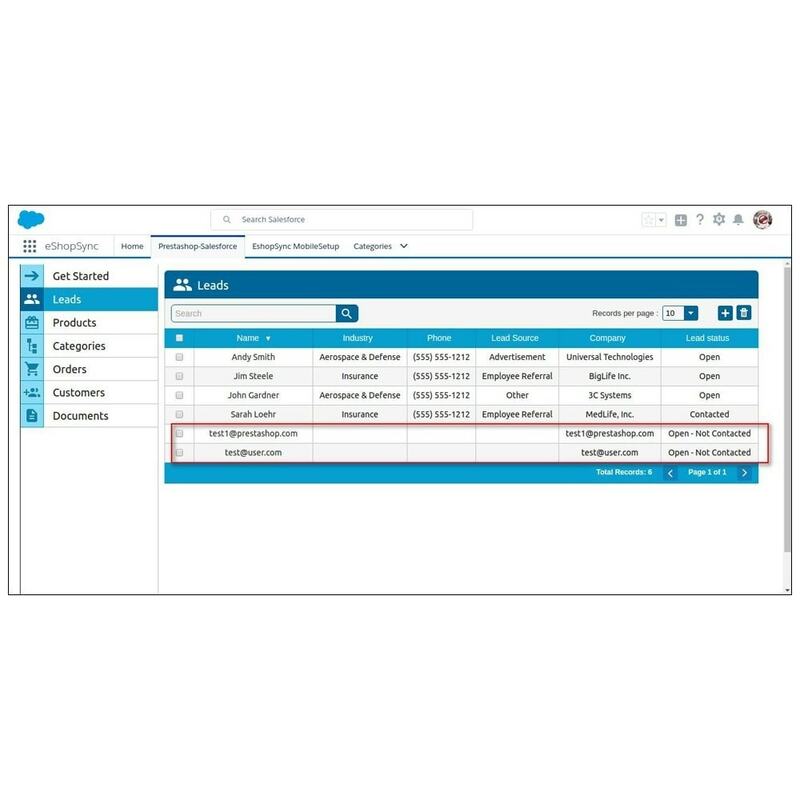 Admin can map salesforce order status to prestashop order status. 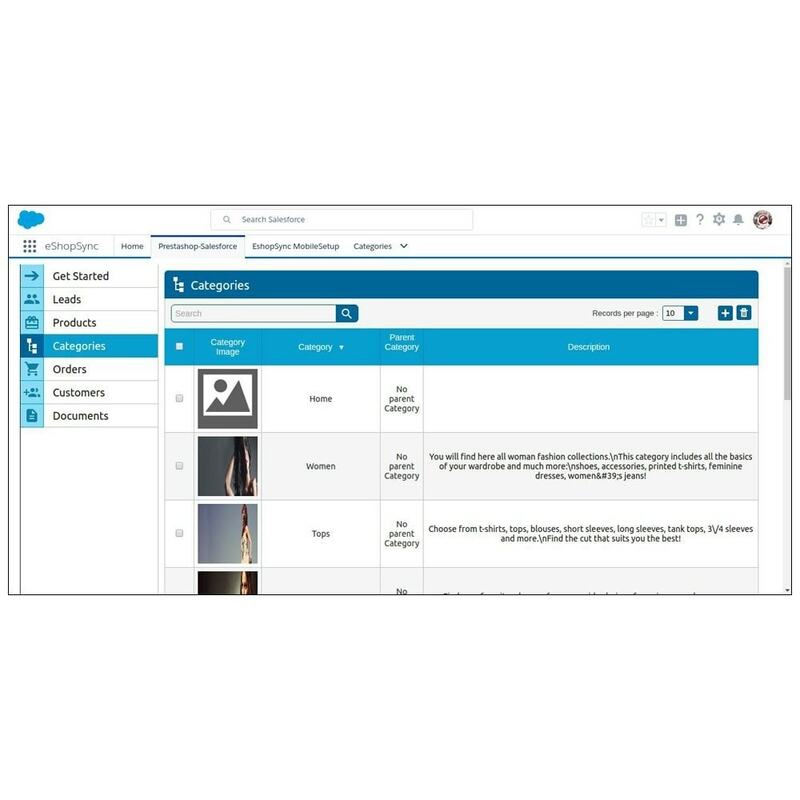 Automatic order status update on Salesforce. 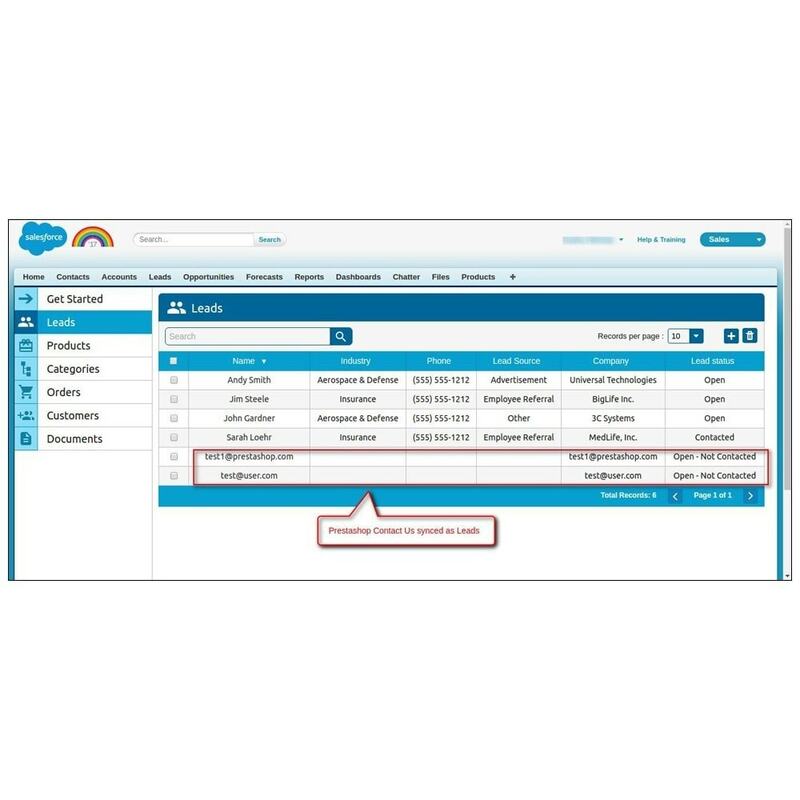 Admin can check Salesforce id of each synchronized data i.e. Lead, Product, Category and Order. Admin can select default language for data synchronization from PrestaShop to Salesforce. Admin can select default folder for documents. Admin can select default price book for product and order.